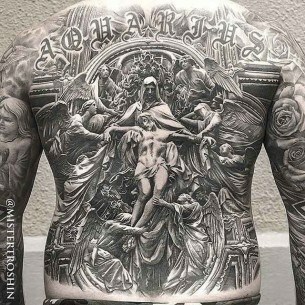 Religious tattoos appeared long time ago. 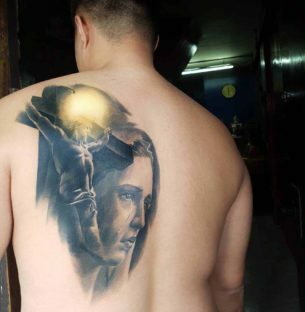 For example, such tattoos were some kind of trademark for Palestinian priests. 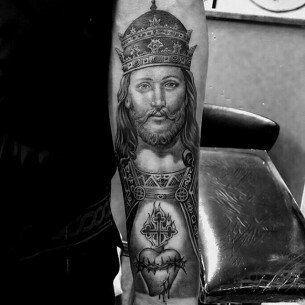 Christianity used to forbid them. 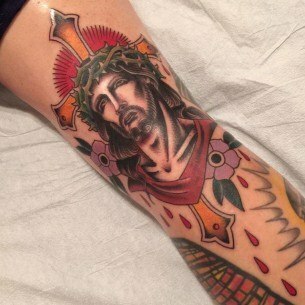 however this hadn’t influenced for the genre to extinguish among Christians. 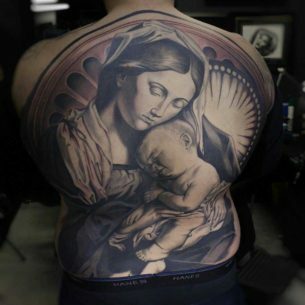 People had still been making tattoos like a crucifix, Saint Mary with a baby Jesus in her hands, or other Saints. 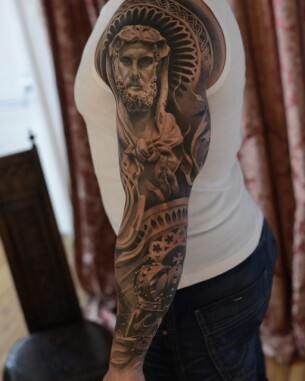 Muslim pilgrim also had tattoos on their bodies all devoted to Mecca and Medina. 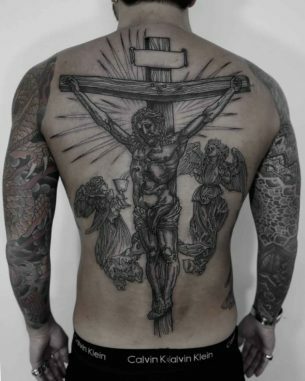 These body drawing symbolized purification after death. 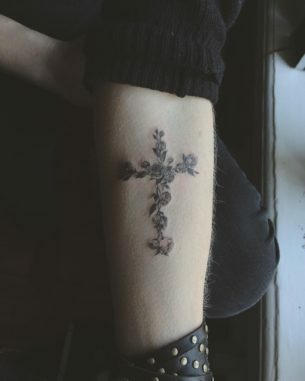 A lot of faithful people used to make religious symbols tattoos to get closer to God, however not all of religions are cool with modifying your body. 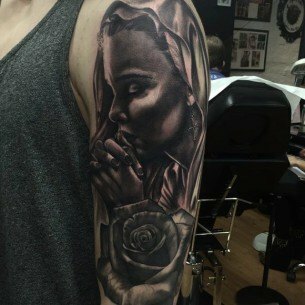 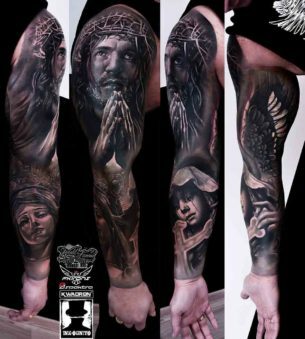 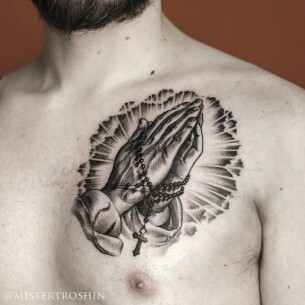 Thus, religious tattoos can be considered a separate genre in tattoo art. 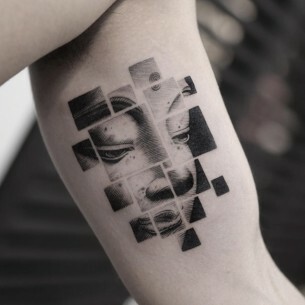 Tattooists had made a great success in making them creating real masterpieces. 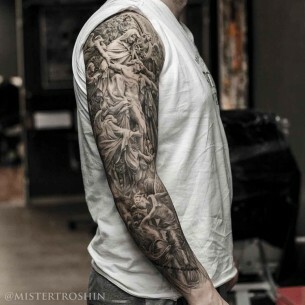 Creation of one such tattoo can take the whole day or even a whole week. 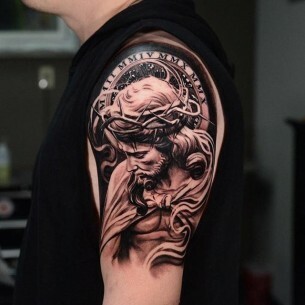 Unfortunately, modern religious tattoos can not be called completely religious due to lack of sacrifice spirit, as a lot of them are made on criminals bodies and true believers don’t make anybody drawings. 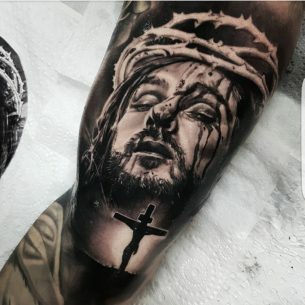 Criminals make religious tattoos for them after some critical moment of their lives to show that they have faith and want to confess. 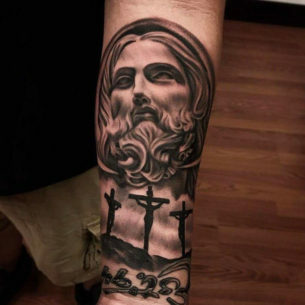 Most common tattoos are crucifixes, some bible faces and other religious symbols. 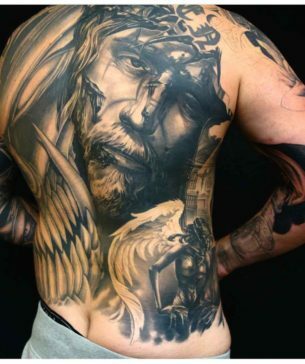 As it was centuries ago, tattoos are unacceptable in Christianity, especially if we talk about a religious tattoo. 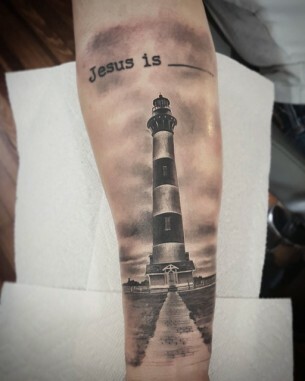 The reason of this is probably written in the Bible.